Sky HD subscribers have spotted that the high defintion variant of Channel 5 has moved to channel 105 across the whole of the UK. Previously, only viewers in parts of central and southern England and Wales could watch Channel 5 HD on Sky channel 105. Channel 5 HD is encrypted and forms part of the Sky TV subscription service, thus the changes only apply to Sky HD subscribers. Other Sky viewers will continue to see the standard defintion version of Channel 5 on 105. For Sky HD subscribers, the standard definition (SD) version is on Sky channel 171 across the UK. Many viewers say they would prefer to see the HD versions of all of the main five channels on 101-105. But currently, certain BBC and ITV services are not eligible to swap. Unlike Channel 5, they carry regional programmes, which form part of their public service broadcasting remit. The current interpretation of the rules linked to the Broadcasting Act indicates that only when the HD version of a channel carries the same regional output as the SD version can the HD channel appear in place of the SD version in the channel list. Therefore, BBC Two HD can only appear on channel 102 in England and BBC One HD on 101 in Scotland, Wales and Northern Ireland. STV, Scotland's ITV counterpart, can only offer their channel 103 service in the west of Scotland, in the area surrounding Glasgow. ITV could theoretically move its HD service to channel 103 in the London and Granada regions as well as in the Central (West) and Meridian (south-east) regions, but has not done so yet. A similar scenario applies to Freesat. There continues to be no news on whether owner Viacom will make Channel 5 HD available on free-to-air platforms. Clauses in its broadcasting licence, which state that Channel 5 has to be provided as a free-to-air service, currently only apply to the standard definition version. 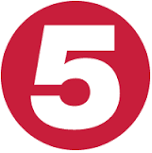 UPDATE 04/08/2015: The change to move Channel 5 HD to Sky HD channel 105 is part of Channel 5's cessation of regional advertising spots. More information here.